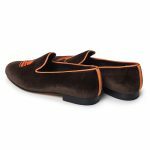 Cigar lovers can now step out in style with our handmade Sautter Cigar Slippers. 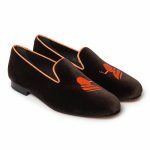 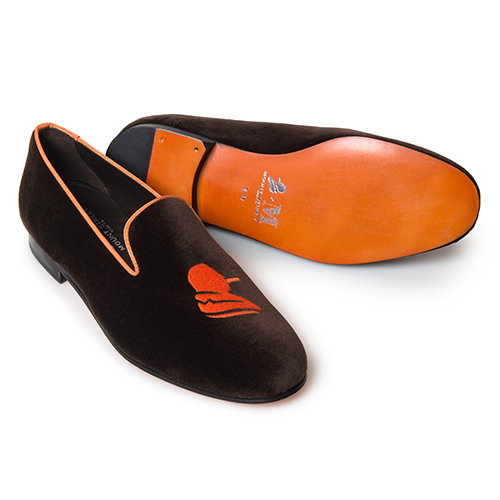 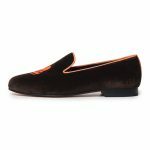 Designed as the ultimate in comfortable evening attire – and with full handcut leather soles, painted in Mayfair orange – the stylish footwear can be worn outdoors just as easily as in. 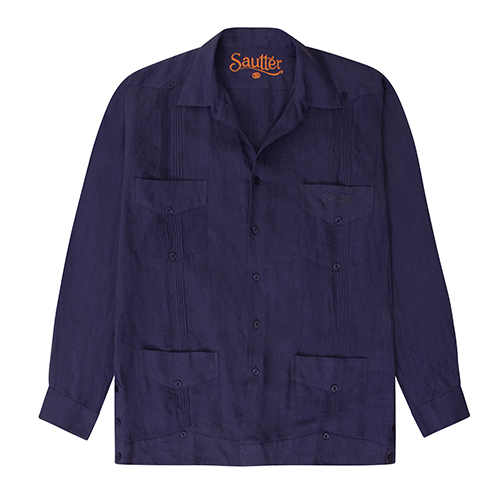 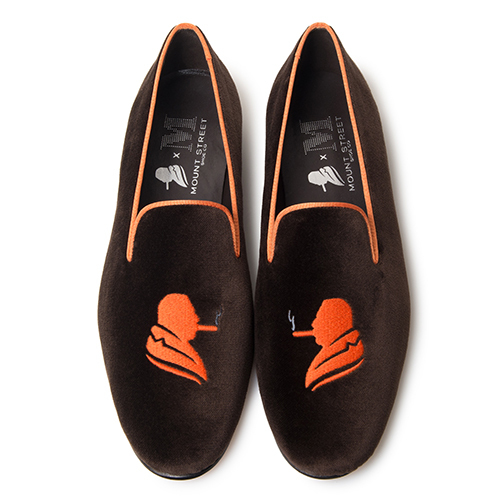 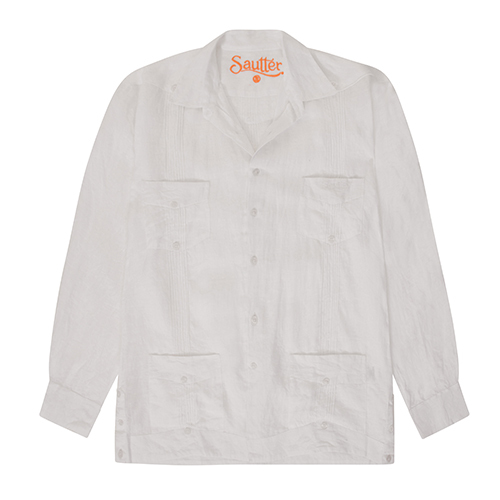 An exclusive for Sautter of Mayfair, and featuring the silhouette of owner Laurence Davis – a profile that’s a dead ringer, incidentally for cigar-loving filmmaker Alfred Hitchcock – the Sautter Slippers have been made for us by our near neighbours, the Mount Street Shoe Company. Plush brown velvet speaks of class and distinction, the orange grosgrain trim of a certain sartorial flair. 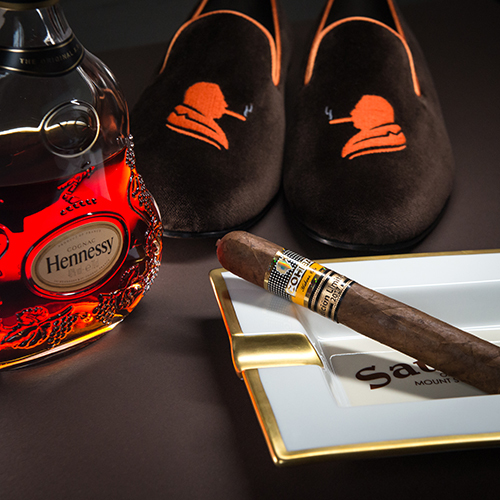 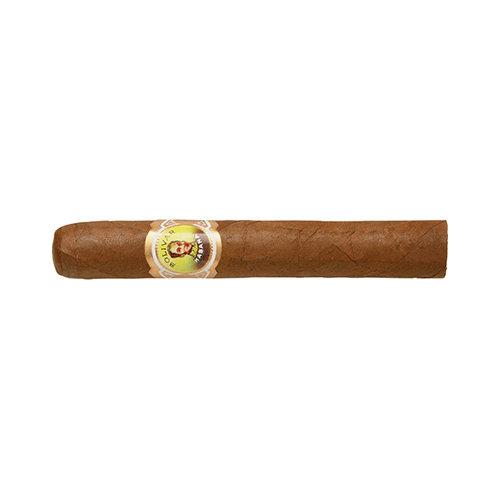 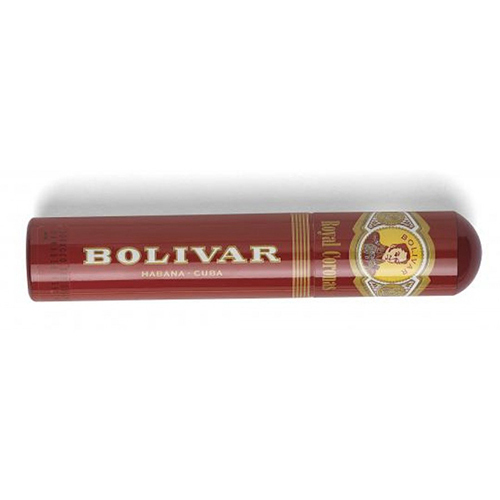 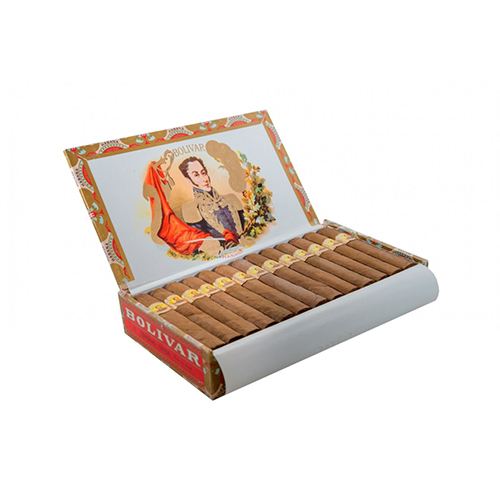 The perfect accompaniment to your perfect cigar. Sautter Cigar Slippers are also available from both London Sautter stores.